Futurist and Trailblazer in Biological Technologies; Co-founder, Genome Project-write; Founder, Humane Genomics Inc. Imagine being able to genetically engineer any plant, animal, or microbe on Earth and use this capability to create everything from print-on-demand drug treatments, to designer organisms impossible for nature to evolve, to re-booted versions of extinct creatures. 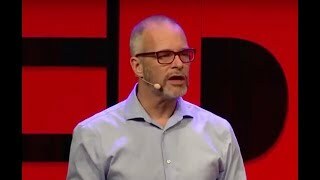 According to biotech visionary Andrew Hessel, that future is here now and growing more powerful every day at massive scale. As the foremost pioneer in this mission to synthetically engineer life, Hessel helps leading companies and investors understand the massive potential of what will be the most dramatic scientific breakthrough of the 21st century, and perhaps in history. As the catalyst of the Genome Project-write (GPW) – also known as the Second Human Genome Project which has grown into an international movement with hundreds of like-minded scientists, engineers, and policymakers working to advance the forefront of genome engineering – Hessel communicates the transformational possibilities for every conceivable industry. GPW will be far more revolutionary than the first genome project because it lays the technical and societal foundations for responsible designer life. A former researcher with Amgen and Autodesk, Hessel is the founder of the startup Humane Genomics, a seed-stage therapeutics company developing customized “3D-printed” medicines for one patient at a time. He calls this the “Netflix” approach, as opposed to the “one-size-fits-none” Blockbuster approach to medicine-making. As the technology for designing and building life continues to advance, even synthetic human genomes will soon come within reach. This merging of computer science and life will transform the world and potentially solve many of the greatest problems humanity faces this century. But these benefits come with some real and very scary risks that are far from being understood or mitigated. 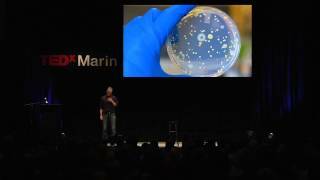 Hessel speaks widely on topics that include cells as programmable living factories, viruses as an emerging software industry, and how to achieve effective biological safety and security. He customizes his presentations for each audience, revealing how his groundbreaking research will be significant to all organizations. Andrew Hessel is available for paid speaking engagements, including keynote addresses, speeches, panels, and conference talks, and advisory/consulting services, through the exclusive representation of Stern Speakers, a division of Stern Strategy Group®. Can Biohacking Cure Cancer, or Lead to Personalized Medicines? The revolutionary technology of the 20th century was digital: the computer and the internet radically changed the way we live, learn, and work. 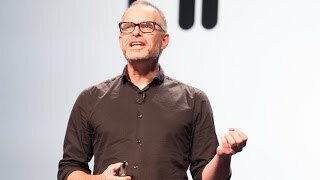 Andrew Hessel says the next leap forward will be far more fundamental; we will be able to synthetically engineer every single species on earth. Following the success of reading the human genome, Hessel is on the cutting edge of writing it. A leading futurist, Hessel presents a vision of how we will all be impacted by the scientific ability to engineer organisms, ensuring greater biological security for all forms of life. As today’s executives focus on existing technology, innovation, and competitiveness in the present, Hessel stands firmly in the future, translating the scientific breakthroughs of tomorrow into economic impacts and implications for businesses. Just as the digital revolution impacted and transformed every business in the world, so too will every industry be subject to the revolution in bioengineering. With more mysteries of the human genome solved, scientists can now embark upon biology’s next frontier: engineering synthetic human genomes. 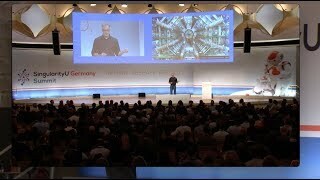 As DNA design, synthesis and assembly technologies advance, Andrew Hessel believes this is future is possible not in the distant future, but within the decade. Already, smaller synthetic genomes are within reach and changing health care, he explains. By synthesizing disease-fighting viruses, we can make cancer a manageable disease. And more broadly, the “one-size-fits-none” method of mass drug manufacturing will give way to personalized medicines, allowing doctors to customize therapies. 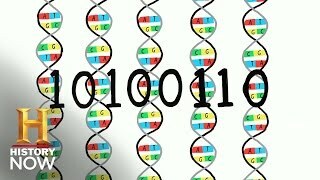 In this presentation, Hessel explains how scientists can synthesize DNA to revolutionize drug production and treatment, in language that is easily relatable to a non-scientific audience. Likening the breakthrough to the disruption of the digital economy, he asserts that the “Blockbuster” drug industry of mass retail will give way to a “Netflix” model of personalized streaming of medicines. Scientists increasingly have the means to develop new technologies in conjunction with doctors and medical professionals to optimize individual treatments. Hessel has a clear vision for translating the data about human biology into life-saving action.